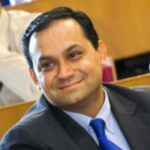 Gyan Nagpal Author, Talent Economics & CoFounder, PLGA Consulting. Gyan is an award winning talent strategist and commentator, who has deep expertise in researching ongoing changes to the global talent pool. Over the last fifteen years, he has helped some of themost ambitious international organisations build significant business franchises across the Asia Pacific and EMEA regions. He is the bestselling author of 'Talent Economics: The Fine Line Between Winning and Losing the Global War for Talent' - (Kogan Page, 2013) a book which was selected as one of the 30 best business books of 2013 by the editorial team of at executive summary major Soundview (summary.com). Apart from authoring books, Gyan is a co-founder and CEO at PeopleLENS Global Associates (PGLA Consulting) a Singapore headquartered consulting firm which helps leaders in 16 countries across four continents. PGLA's clients include BAE Systems, Santander, Saudi Aramco, Nedbank SA, SingHealth, The Central Bank of Philippines, Aviva, BNP Paribas and The Securities Commission of Malaysia. He is a regular keynote speaker and presents his research in industry forums across the world.